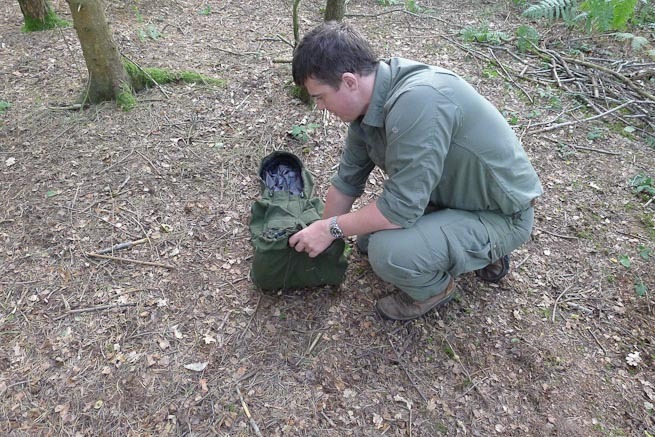 I like to be organised with my outdoor clothing and equipment. I also like to keep things neat and tidy, with minimal extraneous kit to do a job. I suspect you are similar. These days you can get some very lightweight stuff-sacs and packing systems but the lightest packing system remains no packing system at all. 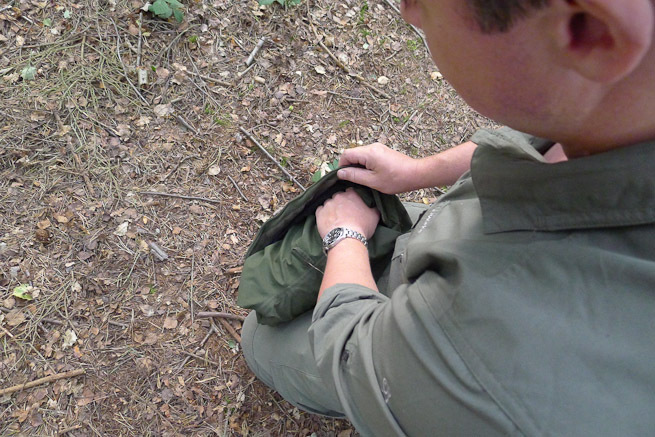 Here is a neat trick to pack your outdoor jacket so it stays tidy and takes up less room in your rucksack. This method only takes a few seconds and helps keep you organised while out and about. Lay out your jacket ready for folding. Photo: Amanda Quaine. Fold in an arm of the jacket. Photo: Amanda Quaine. Fold in the other arm so that the body of the jacket forms a rectangle. Photo: Amanda Quaine. Jacket arms folded in and ready for the next step. Photo: Amanda Quaine. Fold up the lower half of the jacket towards the upper half. Photo: Amanda Quaine. Once the body of the jacket is folded in half, roll it up towards the hood. Photo: Amanda Quaine. Your jacket should now be rolled up and look something like this. Photo: Amanda Quaine. Hold the hood open and place one side of the rolled body into it. Photo: Amanda Quaine. Once the body of the jacket is in the hood, it forms a neat package. Photo: Amanda Quaine. 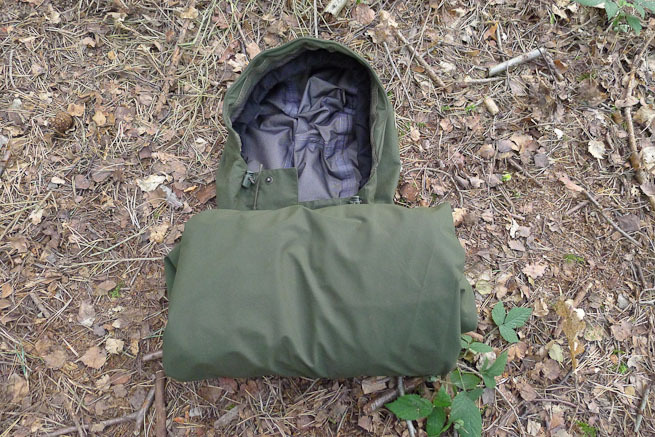 The jacket is now a self-contained unit that can be neatly packed away. No stuffacs or packing systems required! Photo: Amanda Quaine. 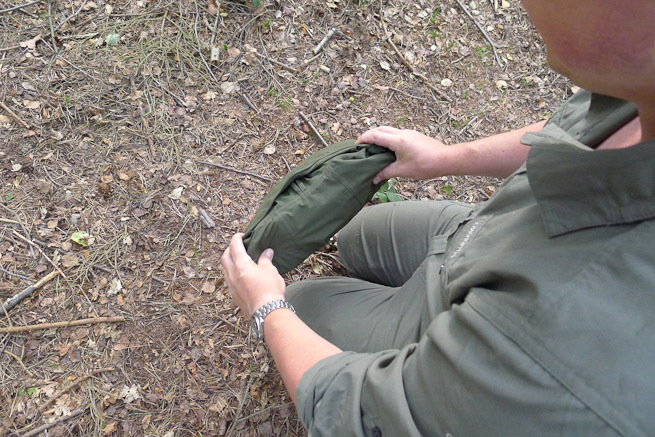 This method can be used to fold and stow cotton smocks, or Ventile, Gore-tex, Event and similar material jackets. 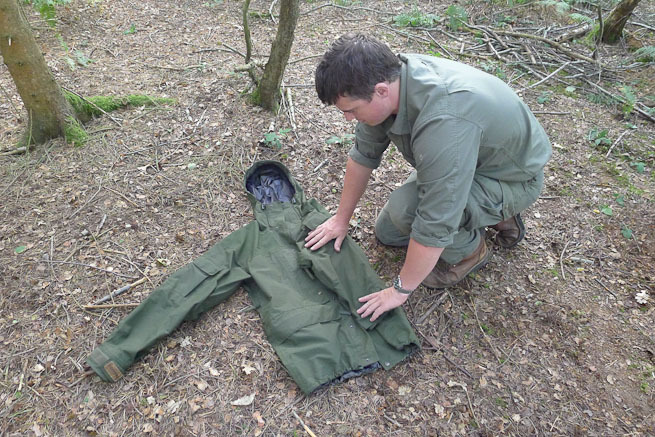 It works with heavyweight jackets such as the Swazi Tahr and Norrona Recon (used in the pics above) as well as lightweight mountain jackets such as the RAB Super Dru. It also works with softshell jackets. Please note: Repeated folding of breathable membranes such as Gore-Tex or Event in exactly the same place can weaken the membrane there. So it is best not to make the folds in your jacket too sharp or to fold each time in exactly the same place. Just fold loosely as in the pics above and you'll be fine. You may have noticed the zip of the jacket in the photos above wasn't done up. I always pack my jackets with the zip open. This means if I'm cold and or need to put on my jacket quickly, I don't have to fiddle getting the zip open first. This doesn't sound much but if your fingers are cold, it can make a big difference to how quickly you get inside your jacket. If you like this please click the 'like' button below or leave a quick comment. 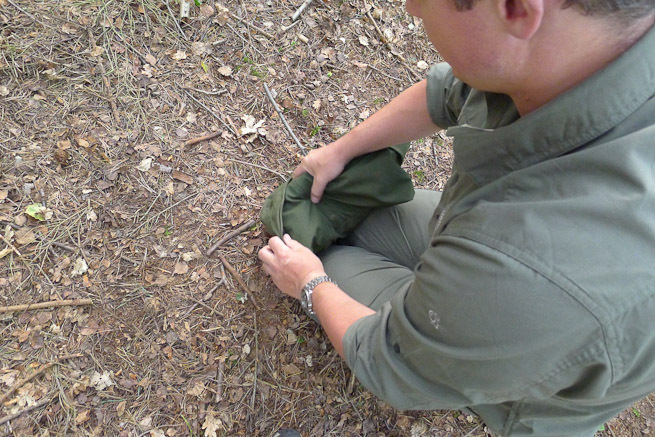 This is a neat trick (I learnt it decades ago and with the old Swedish army raincoat). For garments with no hood I simply fold them in thirds lenght-wise, fold the bottom double (say 20-25 cm), and then roll/fold the rest of the garment from the other end. 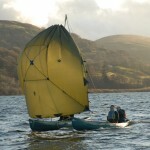 The folded up bottom end forms a pocket, jut like you use the hood. I have used the same techniqe for small tarps, groundsheets, etc. Even plastic bags from the grocery store gets this treatment. Yes, yesterday someone told me that this trick is in the Swedish army manual. That’s not where I learned it from but I suspect the person who showed me learned it from that source. See http://www.soldf.com/regnstall90.html place for the folding instructions for Swedish army way. especially note that the way the pants are folded up inside the jacket. There is a additional trick to it, by leaving the ends of the rainpant´s belt outside hood, You can wear the whole thing as a hip pack. Thanks for the link Hans. Nice trick 🙂 When you are wearing more modern and lightweight fabrics, most of the time it is also possible you “fold” your jacket of rain pants inside a side pocket. Good to hear from you. Yes, the very lightweight jackets and trousers available today seem to pack down to almost nothing. Great for very lightweight hiking, etc. Thanks for your comment. Yep, I’m the same – I can’t help keeping everything folded and organised. I tend to roll up waterproof trousers and use elastic bands, rather than include them with the jacket (as I use jackets much more often than overtrousers). I find the elastic bands keep the trousers packed small. I made a larger paracord bracelet which I use to keep my jacket attached to the outside of my bag when I am not wearing it, never seen this method before but I will be using it from now on. There’ll be some more tips & tricks coming. Glad you liked this one. Yay, it’s a good tip … Dad taught me to do that back in the last century and I still find it works :-), most of the time. Nice trick Paul, i do the same, it then lives in the top pocket of my rucksack until its needed, wish i could do the same with my thick warm fleece jacket. Good to hear I’m in good company. That’s a canny way to fold up kit, keep up the good work. Thanks John. We’ll do our best! Wow, nice one. A surprisingly simple, but effective and useful tip which I will certainly use myself. Thanks and keep the tips coming! Glad you like it. I think you’ll find lots of uses for this tip and others we have in store. I think the hints and tips idea is great – keep them coming! Best of luck with it all Paul!! Allways nice to get these tip reminders paul. Keeps one from becoming sloppy! Great stuff. Keep them them coming! exellent input,just tested it with warm jacket it works a treat ! that will come handy on the next mountain marathon were I need to go ultralight! Good to hear from you. I’m pleased you’ll be able to put this to practical use and apply it to what you are doing. I suspect the navigation training has also come in useful for your mountain marathons? 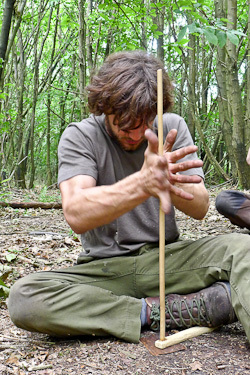 Hi Paul .. You taught me this method on one of your bushcraft events and it made such a difference. 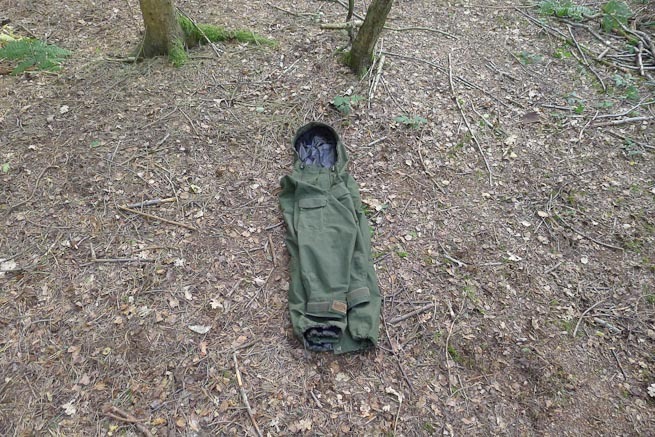 It worked really well .. was so much easier to pack away into my rucksack and I was better organised for it …. ‘It’s the little things ….’ and I still do it! Great technic Paul, this would work great for a Poncho as well. Let us know if it works with your poncho. 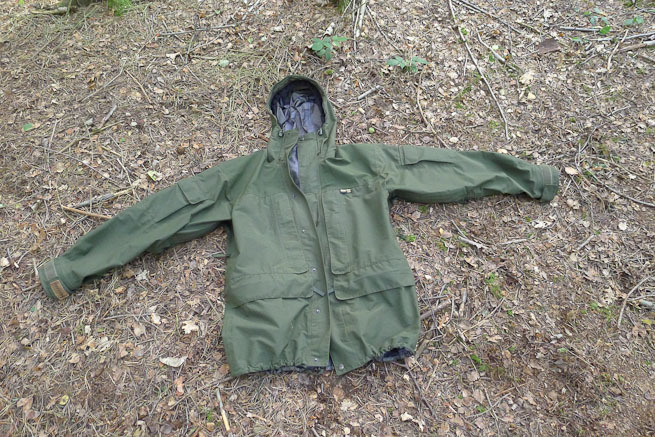 Top tip Paul, just tried it one of my goretex jackets on the living room floor…brilliant, so easy. Usually roll them up, but never got packed so small and neat! good way to fold your jacket for packing. sometimes if Im not packing it away but carrying it, I keep the sleeves out and use them to wrap around my waist like a belt. Good extra tip David. Thanks. Another top tip – just tried it on my Tahr, works a treat. Thank you Paul. No worries. Glad you found it useful. Great tip Paul,have since rolled my jacket in that manner, great for us interested and enthusiastic novices,just like to thank you and your team for the best Good Friday ever. I’m glad that our tips and tricks are continuing to help you out too. Will pass that tip onto our Scouts. nice neat trick, Paul, you can also secure the jacket once folded with the elastic cord on the back of the hood. Yep, that’s a good additional tip. Henry on the Frontier team attaches his jacket to his belt that way. That looks like a handy way of stowing my smock until its needed. I normally strap it to the back of my pack but I will give this way a go. As usual keep up the good work I think all the articles are great and I try to pass them on to cubs with an interest in the outdoors. I’m glad you liked this idea. I hope it works well for you. As a complete novice to Bushcraft, but knowing the challenge of maintaining an organised rucksack, I thought this was great little tip. 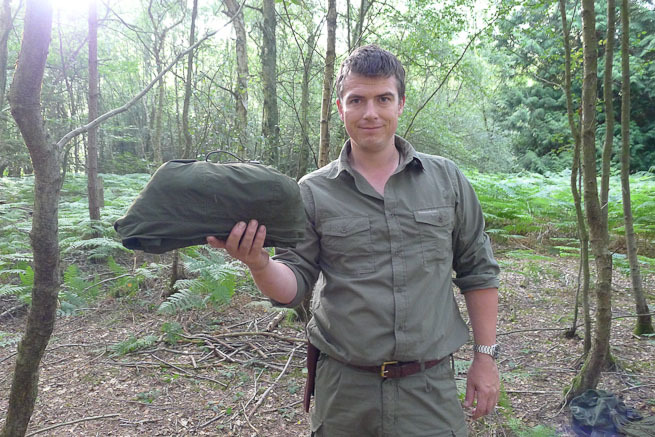 The black art of effective packing for a day in the woods is something I’d love more hints and tips on. Thanks Paul! Neat & tidy! We can learn a lot from the military. We learned to make angles in our sheets to make a nice tight bed and I use this technique today to fold Tyvek sheet over my bedroll and it works like magic. Just do it backwards and seal the sides with tarp clips. Any tips on spices to take out in the woods? Good trick. I seldom use it though, mostly in the summer. Use a cord with 2 loops and carry it as a roll. you are awesome! saved me lots of space, Thanks! My pleasure Albara. Glad it was useful! I particularly like the suggestion of packing the jacket open and ready to wear, no fumbling with frozen fingers. In general it’s important to keep things stowed in an organized and consistent way. I just did four days on the alpine ridges of Strathcona Park, Vancouver Island, Canada, where the weather can be fairly dramatic. Am currently reconsidering my gear arrangements, so your tip was very timely for me. Great idea with the jacket, saves tying it round your waist. Great tip, will know for future reference. Great tip, simple and useful …. A great tip indeed, nice use of the hood! I saw something similar to what Par mentioned on Youtube as well for other garments. It’s how I pack all my clothes now. Get them rectangular (or near enough) fold up the hem 25-50mm (1″-2″ for the non-metric folk) roll-up towards the hem and the fold the outside bit of the hem over to close up the parcel. Works a treat. Here’s another tip, if you pack a change of footwear; camp slippers or whatever, roll up your spare socks and put them in the other shoes. Great tips. Very similar to how I was shown in the service. Keep up the work as many folks starting out in the outdoors can learn from them. I love this tip, pretty much turns any hooded jacket into a “pack a mac”. I do this sort of thing sometimes, but not all the time. I am not as organized as you but recently I watched a YT video by the Appalachian Yoda (that is what I call him lol, he likes it) — Dave at ReallyBigMoneky1 — you likely know of him. He is VERY smart outdoorsy and making gear wise. He made similar points to not folding sharp corner or using the same creases/fold points to certain gear I had not thought of — but which makes sense. — So if you and him both say it, of course it is true! (: ATB man. Did you notice any traffic in terms of me sharing your post on Linked In recently? I tried to do something different, like I said, nothing ever shared of bushcraft there on LI before. Just curious. I know you get hits every day from all over. Hi Paul thanks for another useful tip on clothes storage. 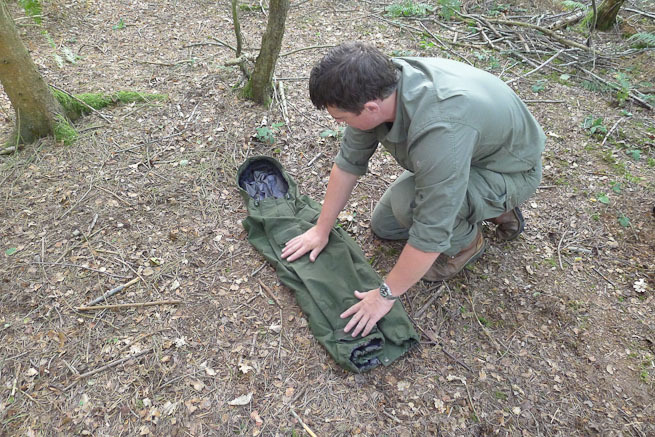 I used a similar method, using the hood of the coat in more of a sack shape with my over-trousers and gloves in the hood too. your method looks a lot flatter. I always try to roll my other clothes as they stay neater and, as you said, avoids damaging treated or “Gortex” fabrics. All the best love the tips and tricks. Keep safe and sharing, Dave. Great little tip this! 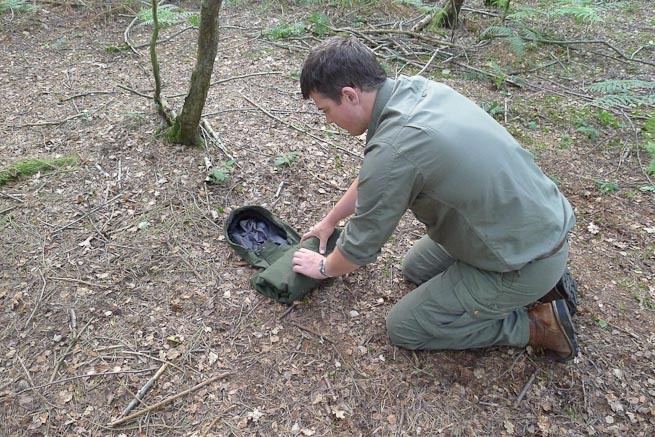 I’ve been doing this for many years and always helps to keep the rucksack neatly packed. Like you, I did my MLS, as well as many years of D of E, PTV, Mountaneering & camping. In 35 yrs I still do this and it helps so much when you need to get your coat and other layers out quickly! Really appreciate your blogs and videos & look forward to meeting up in the future to experience a truly beneficial course in Bushcraft & Woodmanship. Glad you like it Ian. It’s many small incremental steps like this that add up to make a huge difference. A timely tip Paul as I’m packing for a three month trip to Spain & Portugal! Look forward to reading and watching the blogs and posts. The on line course has proved really good too, both for the information and as a refresher tool. Keep up the good work! Very useful tip packs away very compact neat in the rucksack . Glad this will be useful to you Andy. Previous post: Animal Tracks and Sign: Vole or Mouse?